Regardless of whether your cat is an indoor or outdoor animal, they need to get vaccinations to prevent serious diseases. Some of these shots, like the rabies vaccine, are required. The state of Texas mandates all cats and dogs get vaccinated for rabies by four months. 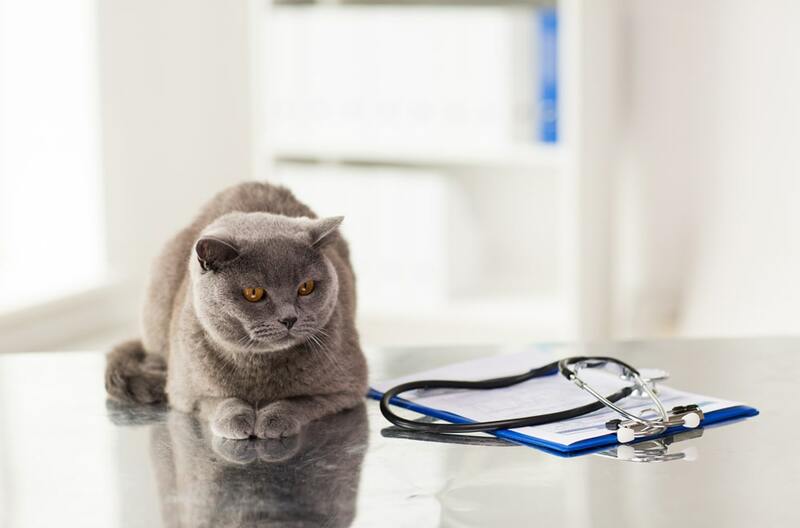 At Dessau Veterinary Clinic in Austin, we can help keep your cat healthy and legally immunized by providing all of the vaccinations and boosters they need. Cats have two core shots they must get due to the severity of the diseases or the frequency of exposure. These core shots are started in kittens with boosters given as the cat ages. Core vaccinations for cats include rabies and FVRCP (feline rhinotracheitis, calicivirus, and panleukopenia). Rabies vaccines are started at eight or 12 weeks with boosters administered annually thereafter. The FVRCP schedule typically starts at eight weeks, with booster shots at 12 and 16 weeks. Your cat may need annual boosters or a booster once every three years depending on the vaccine brand and the vet's recommendations. Non-core vaccinations are those that are not required but your pet may need them depending on its lifestyle. For instance, outdoor cats are exposed to more animals and experiences and may need more vaccines. Talk to one of our vets about the non-core shots your cat may need. Some veterinarians recommend starting these in kittens whereas others want to wait until the pet is an adult. Non-core shots require annual boosters as long as the risk for infection remains. Here are some common non-core vaccinations for cats, the last three of which are only administered in special cases. Feline leukemia (FeLV) is often transmitted through close contact with infected cats. Feline immunodeficiency virus (FIV) passes through bites between cats. Feline infectious peritonitis (FIP) is not often given due to concerns about efficacy. Bordetella bronchiseptica is rarely offered and only in cases when your pet is going into an area with active infections. Chlamydophila felis is only given to cats in multi-feline homes where the disease currently causes respiratory problems and conjunctivitis. Your cat's health is important. As a member of your family, your feline friend should be up-to-date on their vaccinations. Let us at Dessau Veterinary Clinic help with the shots your cat needs. Phone us at (512) 339-3177 today to talk to our staff or to set up an appointment. We also offer online appointment requests for your convenience. If you live in the Austin area, we would love to meet your cat and help you maintain its health for life.